Finished: Percy Jackson & the Olympians Series by Rick Riordan. 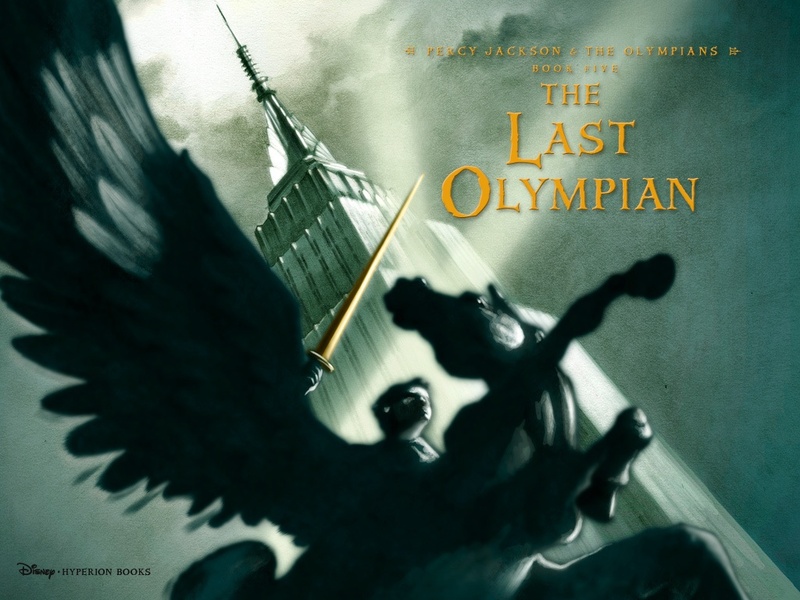 I recently finished The Last Olympian the fifth and final book of the Percy Jackson & the Olympians series. And I loved it! The Last Olympian was by far my favorite book in the series! (Apart from The Lightning Thief which started off the series.) I just loved how it just wrapped up the series... And slowly introducing the next. It showed Hades a bit more then the other books, and Hades is my favorite Greek god! So that's a plus. I loved how in the end he was well received, you know after helping them fight the Titan war… and all. The flashback with Nico's mother just made me like him a lot more… I just love Hades… I'm odd that way. Another thing… I liked is the fact the Percy wasn't the one to "save the day" and that made me happy cos, you know one kid cannot do it alone… without the help of others, and I liked that… especially, since he wasn't the one to defeat Kronos. I just feel like sometimes fantasy books could put a lot of pressure on the protaganist —who is destined for… I dunno greatness and that is too unrealistic… well in my opinion.